Returning to a foundational moment in the history of the American family, Negotiating Motherhood in Nineteenth-Century American Literature explores how various authors of the period represented the maternal role – an office that came to a new, social prominence at the end of the eighteenth century. By examining maternal figures in the works of diverse authors such as Harriet Beecher Stowe, Nathaniel Hawthorne, Frederick Douglass, Harriet Jacobs, and Sarah Piatt, this book exposes the contentious but fruitful negotiations that took place in the heart of the American sentimental era – negotiations about the cultural meanings of family, womanhood, and motherhood. This book, then, challenges critical constructions that figure American sentimentalism as a coherent, monolithic project, tied strictly to the forces of cultural conservatism. Furthermore, by exploring nineteenth-century challenges to conventional maternal ideology and by exposing gaps in the mythology of "ideal" motherhood, Negotiating Motherhood demonstrates that the icon of an American Madonna – a figure that still haunts America’s imagination – never had an uncontested reign. 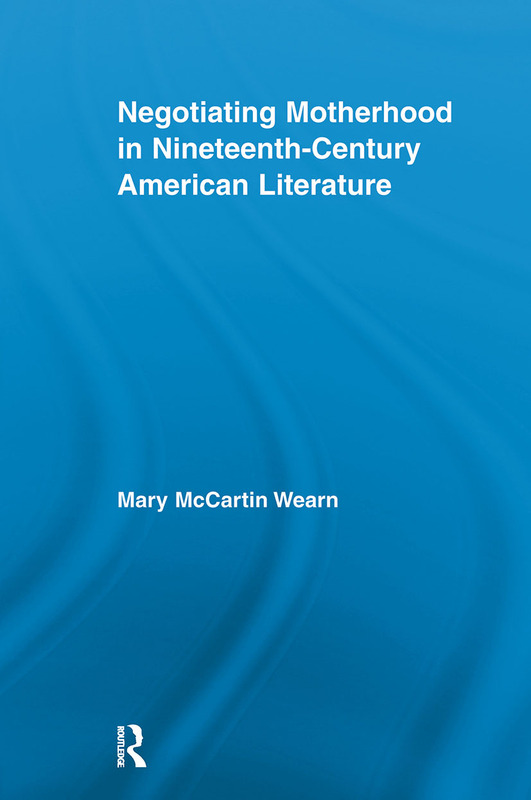 Transcending the boundaries of literary criticism, this work will be useful to feminist scholars and to those who are interested in the history of women’s culture, the American mythology of family life, or the cultural construction of motherhood.